For the fifth time in a row, Pakistani starlet Mahira Khan has claimed a spot in the 50 Sexiest Asian Women list. Sanam Saeed bagged 19th position on the list. Bollywood star Deepika Padukone has topped a list. 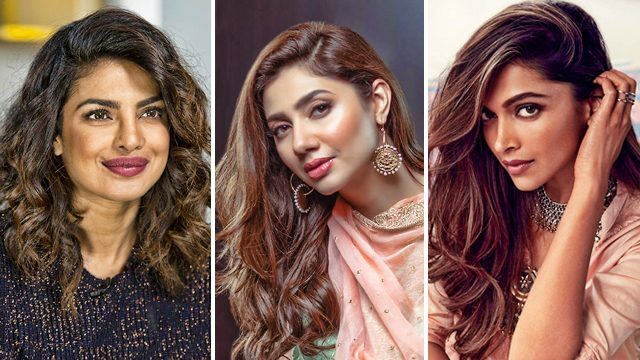 This is the second time in three years that the multi-award winning actress has topped the globally renowned 50 Sexiest Asian Women in the World list. Last year’s topper, actor Priyanka Chopra, came in second as she celebrated another year of being a great global ambassador for India, including her own high-profile nuptials to singer Nick Jonas in Rajasthan over the weekend. Television actor Nia Sharma came in at number three as she held onto her position as the sexiest TV star in the list for the third year in a row. The rest of the top 10 who competed in the 2018 list includes Shivangi Joshi scored fifth, Alia Bhatt scored sixth, Sonam Kapoor scored seventh, Hina Khan scored eight, Katrina Kaif scored ninth and 10th is Niti Taylor. The highest-placed newcomer in the list is rising star Ashi Singh (18) and the youngest in the list is 20-year-old television actress Shivangi Joshi (5). Pakistani actress Saeed, however, scored 19 for “pushing the creative boundaries in Pakistan and regularly speaking about a wide array of important social issues including women’s empowerment”. The complete list will be published on Friday.